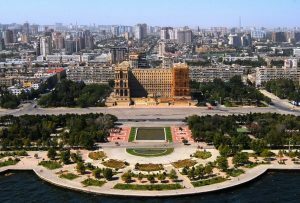 Baku, one of the most beaut iful world’s cities is located at the joint of Europe and Asia. The capital’s name itself interpreted as a “wind blow”, “city of winds” or “hill”, “city on the hill”. The port city of Baku, the cultural, industrial and political capital of Azerbaijan located on the western Caspian seaside. On the bay shores of the same name in the southern part of the Absheron Peninsula, rich in its oil fields. Baku consists of 11 administrative districts and 5 townships. 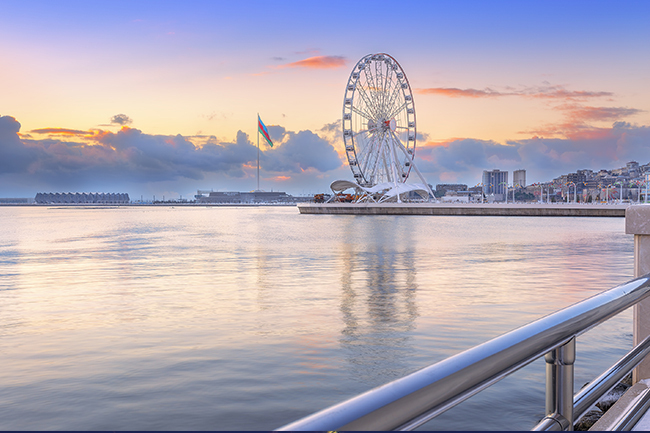 In downtown Baku, this is where everyone meets, gathers, walks and enjoys themselves. There are local and international shops, cafes, tea houses and restaurants to suit all tastes. Young and old alike enjoy the open spaces and the shade from the plentiful trees. As its name suggests, Fountain Square has fountains, lots of them in different styles. Refreshingly traffic free (except for children riding in toy 4×4 cars), this is a place to relax and watch the smartly dressed Bakuvians go by. 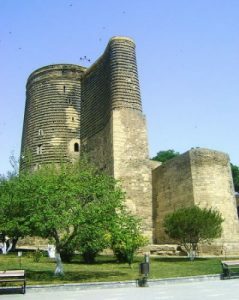 A UNESCO World Heritage Site, the Icheri Sheher is Baku´s ancient inner city. Here you will find the oldest part of Baku, with its unique atmosphere, inside the 12th century stone walls. New and old mingle side by side throughout Baku, but nowhere more than here, where new offices and hotels abut ancient mosques and minarets. Local music and dance performed at many of the city’s best local restaurants. 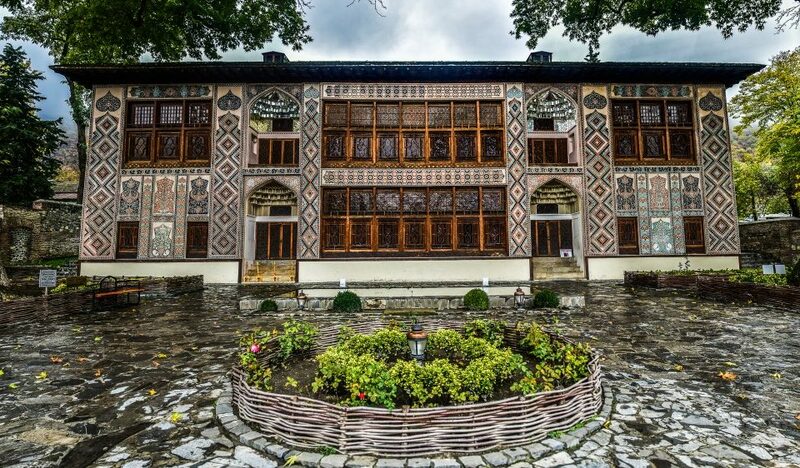 Listen out for Mugham music, which is famous for its creativity and diversity. Played on national musical instruments. And sounded strange to me at first, but I’m really getting to enjoy it. The Baku Metro that started operating since 1967 in Baku, first of all, also, the largest with a capacity of 34.6 km length of the vehicle. 2 lines, 23 stations are operating and three are under construction, those stations have 23 vestibules. One of the distinguishing features of the metro is the cross of its lines in the hilly area of ​​the city with one another. Because of the huge number of high-spending business visitors to Baku, the international standard hotels are of excellent quality. These include Marriott Absheron Hotel, Four Seasons Hotel, Fairmont Hotel, Bouelvard Hotel . Bilgah Beach Hotel Baku is a popular hotel just a little to the south of Baku, on the coast as the name suggests. Just to the north of Baku there are many new hotels springing up, for example the very modern Khazar Golden Beach Hotel. Baku and oil are inseparable concepts. Because of the oil fields which covers the Absheron Peninsula, the oil production and oil refining. Energy, machinery, chemical, industrial fields developed in Baku and around of Baku. in addition One of the largest ports of the Caspian Sea in the shipbuilding sector is developing in Baku. 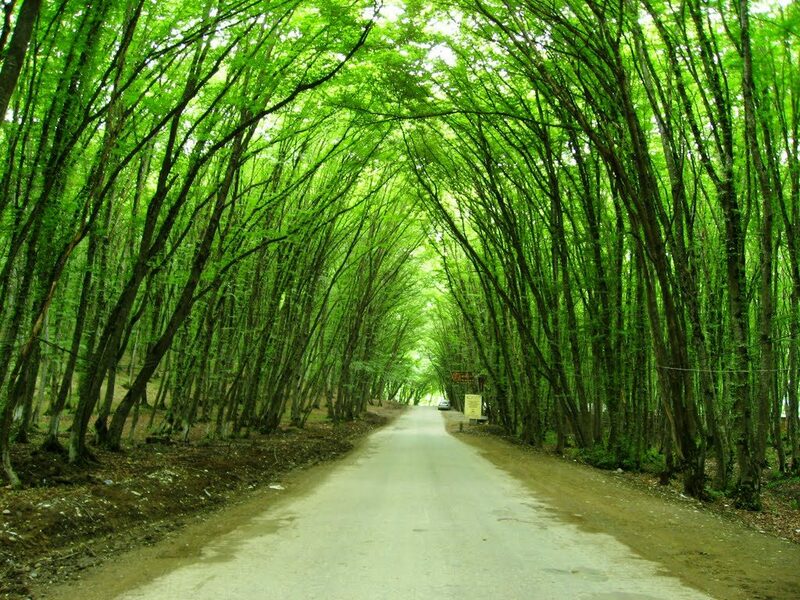 The climate of Absheron peninsula where Baku locates differs with its temperate hot summers and short mild winters. 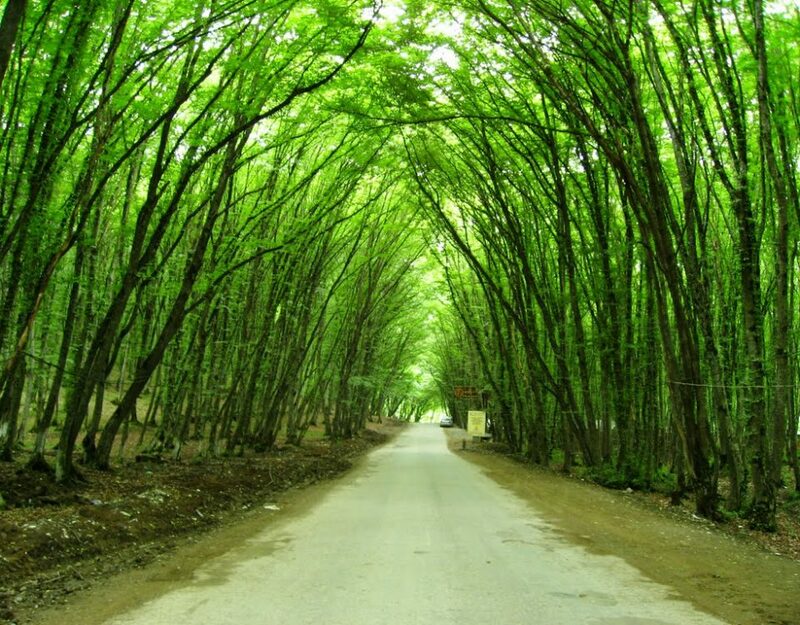 Absheron which is located on the same latitude with Greece and Italy, is one of the most favorable places for rest of the country with less precipitation and slightly higher temperature. The Caspian Sea port of Baku operates year-round as it doesn’t freeze. The average annual temperature in Baku is similar to the temperature of the earth. The city is located 28 meters below the sea level. About 35 universities, dozens of colleges and high schools function in Baku. Many of companies in the banking and finance. As well as Baku Stock Exchange operates in the city. Baku – Fantastic city ! Baku is flourishing in the last years ! In my last trip,i just was shoked. Now Baku is so medern and beautiful !